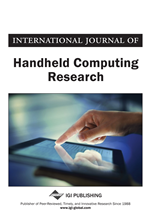 This paper presents an indoor positioning system based on FM radio. The system is built on commercially available short-range FM transmitters. This is the first experimental study of FM performance for indoor localisation. FM radio possesses a number of features, which make it distinct from other localisation technologies. Despite the low cost and off-the-shelf components, this FM positioning system reaches a high performance, comparable to other positioning technologies such as Wi-Fi. The authors’ experiments have yielded a median accuracy of 1.0 m and in 95% of cases the error is below 5 m.
Location awareness is an important requirement for many modern applications, spanning from mobile maps and geotagging up to various indoor systems. Applications of indoor localisation can also be found in the realm of social sciences, allowing inference of human relationships, for example colleagues that spend time in the same office, through analysis of sub-room mobility patterns (Eagle & Pentland, 2006). In health care, indoor localisation can be used to aid elderly locate misplaced objects (such as their mobile phone), or deliver location dependent reminders. These applications can be enabled by a low-cost, sub room location solution. The Global Positioning System (GPS) is most widely used for location sensing, but it is limited to outdoors-only applications. A body of research has addressed indoor positioning using different technologies, like ultrasound and infrared beacons, Wi-Fi and GSM networks, or other types of radios (Hightower & Borriello, 2001). Most of these systems are limited in terms of expensive/custom hardware, laborious deployment or low performance. FM has a number of advantages over other localisation technologies, like Wi-Fi. Firstly, although Wi-Fi infrastructure is readily available in office buildings, the installation of a localisation system in domestic environment requires additional hardware. Indeed, multiple Wi-Fi access points would be required to provide positioning, since a single access point or a wireless router, typically found at home, is not sufficient. In this case, FM is a cheaper alternative to the deployment of multiple Wi-Fi access points per apartment. FM transmitters are available from many consumer electronics shops; the client device can be represented by a cell phone with an embedded FM receiver. Secondly, FM radio can be safely used in specialised environments, such as hospitals, whereas GSM, Wi-Fi or Bluetooth devices must remain switched off due to potential interference with medical devices. Finally, FM is highly power-effective: an average FM receiver consumes about 15 mW, compared to almost 300 mW of Wi-Fi (in receiving mode) (TDA7088, 1996; BCM4326, 2006). This paper explores the applicability of short-range FM radio transmitters for indoor positioning. We have installed our FINDR (FM INDooR) positioning system in our lab and this paper presents performance evaluation results of the system, as well as an overview of particular properties of FM radio with respect to localisation. A same-environment comparison with a Wi-Fi-based positioning system is also provided. The paper is organized as follows. The section that follows provides an overview of the related work. The next section introduces our approach and our experimental testbed. The following two sections present results pertaining to performance evaluation of FINDR and describe the possible application scenarios of the system. Lastly, the final section reiterates the main points and draws the conclusions.